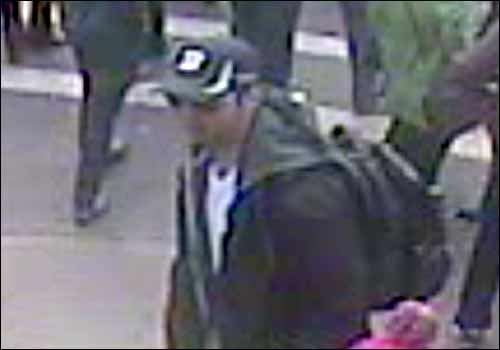 BOSTON â€” The FBI intensified its manhunt in the Boston Marathon bombing case on Thursday by releasing images of two men they deem to be suspects. Investigators asked that anyone with information about the men or who may have seen them in the vicinity of the race finish line on Monday to step forward with information as soon as possible. 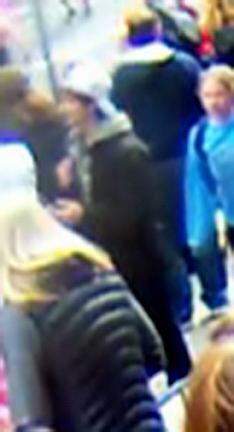 "Somebody out there knows these individuals as friends, neighbors, co-workers or family members," Deslauriers said. â€œThough it may be difficult, the nation is counting on those with information to come forward and provide it to us." 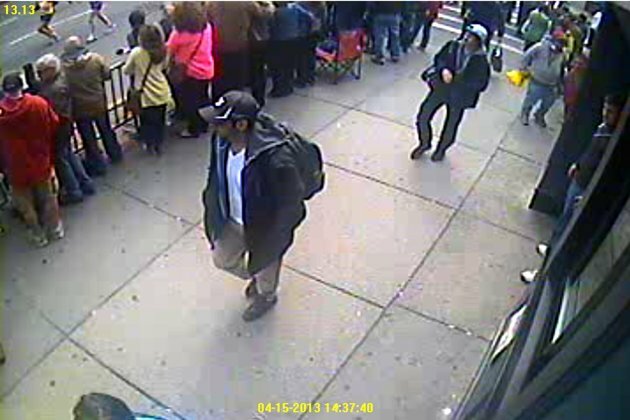 The release of the images represented a significant breakthrough in a massive manhunt that has consumed local, state and federal law enforcement since the detonation of two shrapnel-packed bombs that plunged the annual Patriot's Day raceâ€”the nation's most prestigious marathonâ€”into terror and chaos. There, Obama honored the families of those killed in the blastâ€”Martin Richard, 8, of Dorchester; Krystle Campbell, 29, of Medford; and Lingzi Lu, 23, a Boston University graduate student from China.